Two non-profit legal organizations focused on advancing LGBT rights and the rights of people living with HIV are suing the Department of Defense for what they allege are discriminatory policies that restrict the ability of people living with HIV to serve in the U.S. military. OutServe-SLDN and Lambda Legal filed the lawsuit on Wednesday with the U.S. District Court for the Eastern District of Virginia on behalf of Sgt. Nick Harrison. Harrison enlisted in the Army midway through college and trained as an airborne paratrooper. After serving three years on active duty, he joined the Oklahoma National Guard and began law school. His goal was to commission as an Army officer and take a position in the Judge Advocate General Corps. Harrison was deployed twice while in law school, first to Afghanistan and then to Kuwait. When he returned home from his second deployment, he was diagnosed with HIV. After passing the bar, Harrison accepted a job in D.C. and joined the D.C. National Guard. In November 2013, he was offered a position with the D.C. Guard’s JAG Corps. But two years later, Harrison was denied the position. Current Pentagon policies developed in the 1990s consider service members living with HIV non-deployable, OutServe-SLDN and Lambda Legal said. They deny people like Harrison the ability to enlist or be appointed as officers, the groups said. OutServe-SLDN and Lambda Legal have teamed up to fight on Harrison’s behalf. They are taking the Pentagon to court with the goal of getting Harrison commissioned and ultimately revamping the DoD’s current HIV policies to match current medical research. Perkowski said his team will rely on current medical knowledge to demonstrate that a HIV diagnosis presents no obstacle to a person’s ability to serve in the military. As part of his JAG application, Harrison was required to take the Military Medical PULHES exam at Walter Reed military hospital. The results, he said, placed him at the highest level of medical readiness with no duty restrictions whatsoever, were it not for the Pentagon’s HIV policies. The lawsuit on Harrison’s behalf comes just months after the Trump administration unveiled a new "deploy or get out” policy. The policy calls on the Pentagon to discharge any service members who cannot be deployed overseas for more than 12 consecutive months. Given their classification as non-deployable, service members living with HIV could be subject to immediate discharge when the policy goes into effect. Harrison said he decided to pursue legal action against the DoD after exhausting all possible remedies through his chain of command. 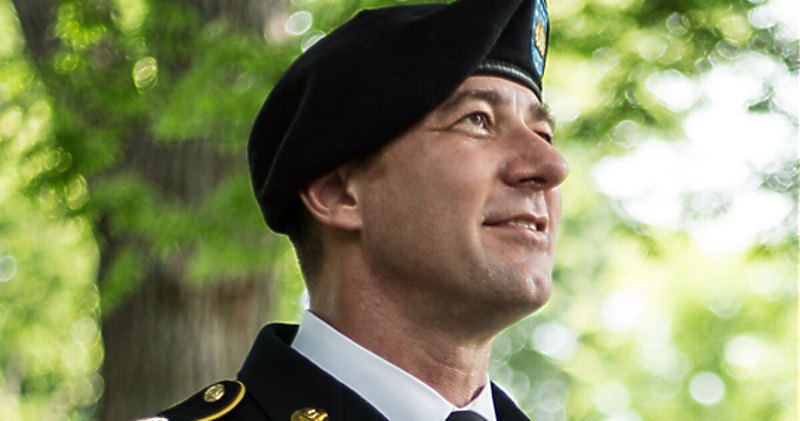 He hopes the results of the lawsuit will allow him to fulfill his longtime goal of commissioning as an Army officer, as well as help other soldiers in similar situations.